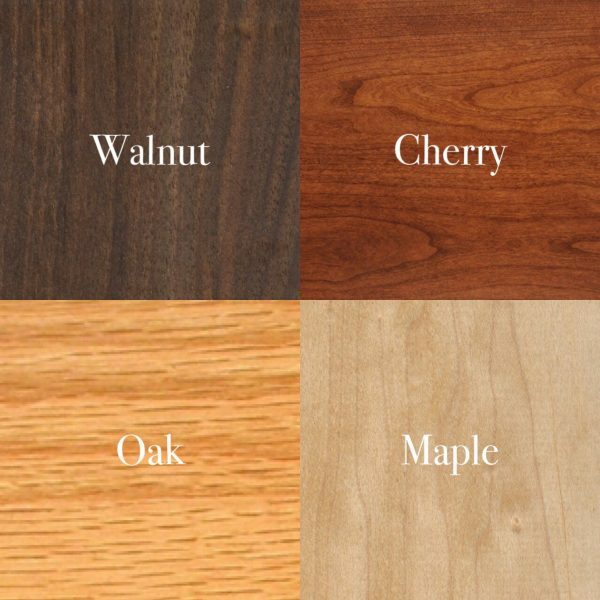 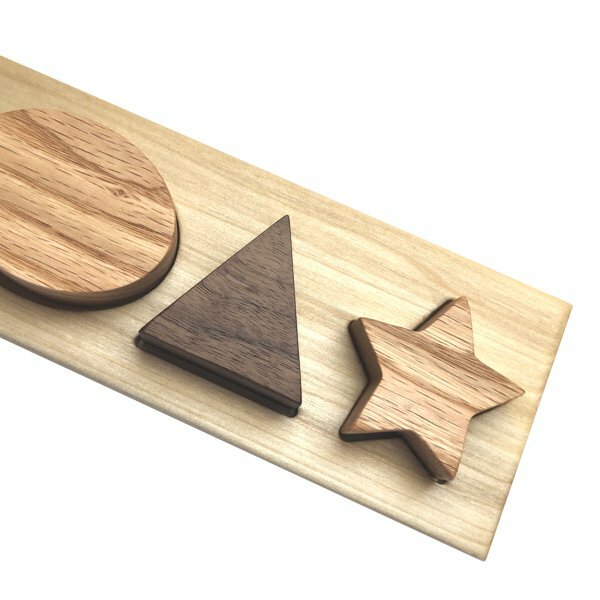 A Shape Puzzle is a fun way for a child to learn basic shapes. 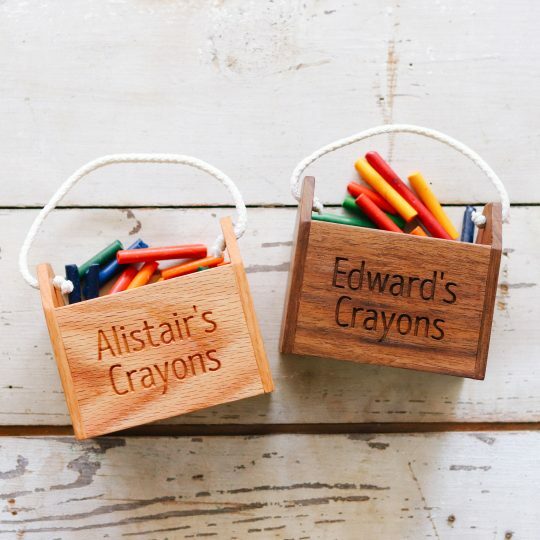 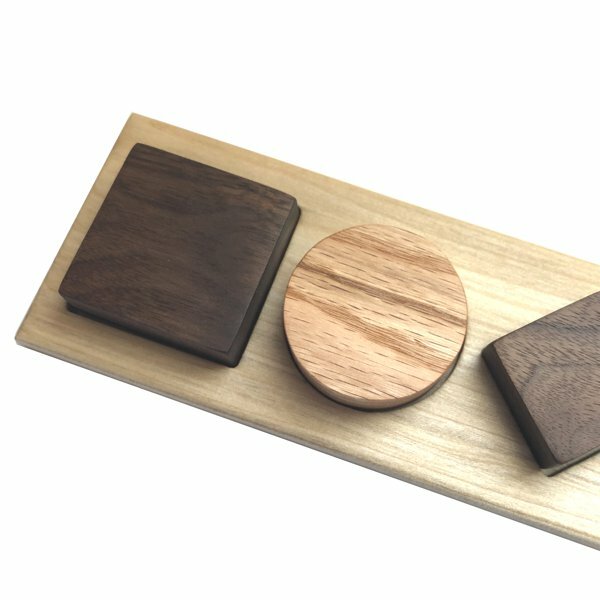 Combinations of wood for base and letters can be made. 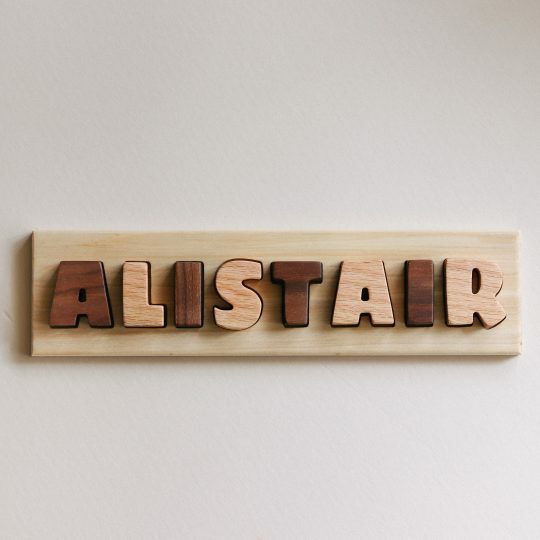 A dark base and all light letters, a light base with all dark letters or a mixture of light and dark letters. 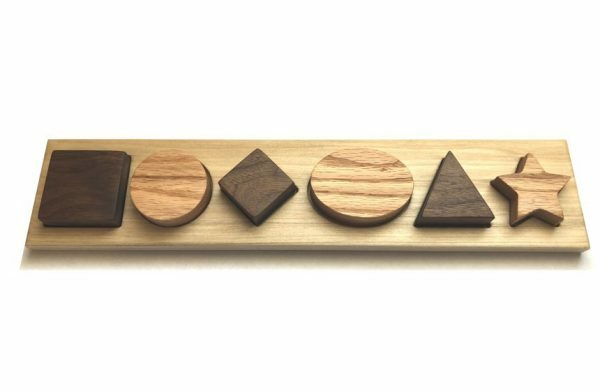 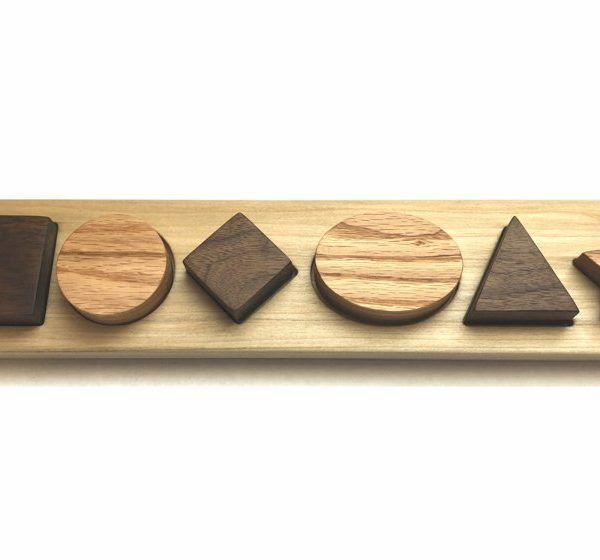 The shape puzzle in the product photo has a Maple base with letters in Walnut (dark) and Oak (light).